So many critical initiatives within today's business and data center revolve around removing complexity and fragmentation. There's really no better place to start than with your storage platform. In fact, a major bottleneck around performance is the lack of intelligent systems, all-flash integration, and the all-important missing cloud component. Here's the other truth: the amount of data we create and store will only continue to increase as users and businesses shift into a truly digital economy. To that extent - how are you managing your data stores? Do you have an easy-to-use unified management plane for your most critical data points? Are you able to leverage a simple, scalable and intelligent enterprise-grade solution to consolidate file, block and object storage? Most of all, are you still operating out of storage and compute silos? The digital shift for the data center and businesses alike means more requirements around storage management and integration with the cloud. In fact, these types of solutions create the key architecture that not only improves management and performance, it helps create competitive advantages by allowing your business to be much more agile. In this webinar, we'll explore the 'current state of data' and how it's impacting your business. From there, we'll outline challenges facing the modern data center and how leaders in the space are helping resolve these issues. Finally, we'll take a step-by-step approach to defining a method to help you remove legacy and complex parts of your storage framework; and where you can integrate cloud. Bill Kleyman is an enthusiastic technologist with experience in a variety of industries. This includes data center, cloud, virtualization, security, AI, mobility, edge solutions, and much more. His architecture work includes large virtualization and cloud deployments as well as focusing on overcoming emerging business challenges. Bill enjoys writing, blogging, and educating colleagues around everything that is technology. During the day, Bill is the Director of Technology Solutions at EPAM where he works with AI, machine learning, blockchain solutions, DevOps, cloud, and advanced technologies to help engineer the digital future. Bill’s whitepapers, articles, video blogs and podcasts have been published and referenced on WindowsITPro, Data Center Knowledge, InformationWeek, NetworkComputing, TechTarget, DarkReading, Forbes, CBS Interactive, Slashdot, and many others. As an active member of the technology industry, Bill was ranked #16 globally in the Onalytica [onalytica.com] study which reviewed the top 100 most influential individuals in the cloud landscape; and #4 in a different Onalytica [onalytica.com] study reviewing the industry’s top Data Security Experts. 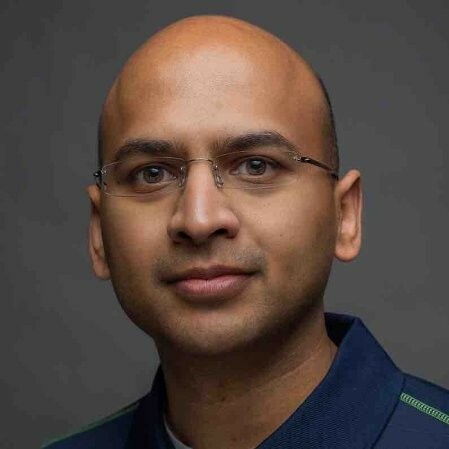 Rohit Goyal has worked in the technology industry with hardware and software companies for over 17 years helping organizations move past traditional IT barriers. He has experience that ranges from Fidelity Investments, Goodwin Procter, Dell EMC to two start-up acquisitions. He is currently focused on extending those experiences to Nutanix products features with an emphasis on Object Storage and more. Rohit earned a bachelor’s degree in Management Information Systems and a minor in Computer Science from Worcester Polytechnic Institute. Shubhika Taneja is a Sr. Product Marketing Manager at Nutanix. She has been with Nutanix for about 2 years. 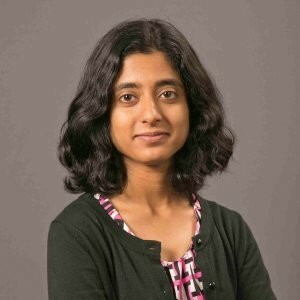 She has been working in the data center space for the past 4 years, before which she was working as an engineer in the computer networking space for over 5 years at Cisco. She is responsible for the Go To Market strategy of Nutanix Acropolis File Services (AFS). Shubhika has a Master’s degree in Electrical & Computer Engineering and an MBA from the Haas School of Business.